Used Demo Meinl Weston 5450RA-2 “Tuono” CC tuba in silver with gig bag. 18.9” upright bell, 38.6” tall, and 5 rotor valves of .846” bore. 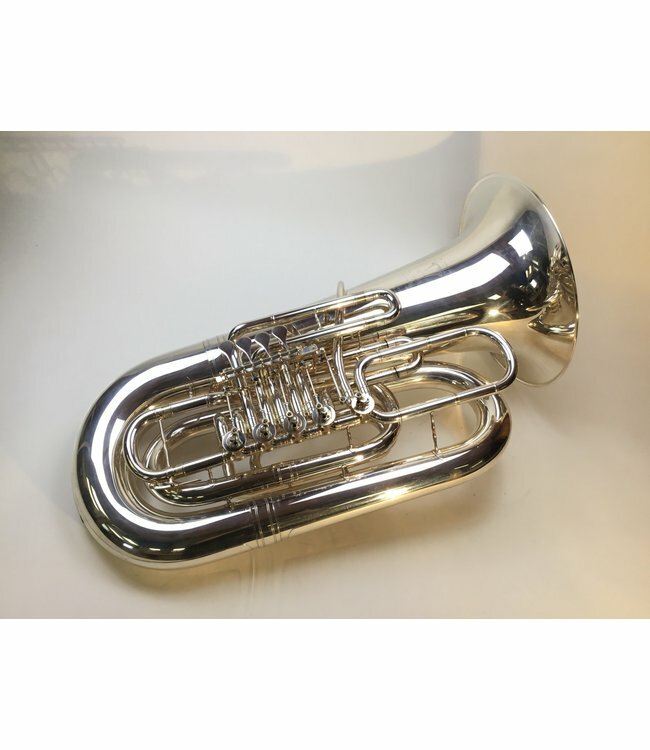 5/4 size tuba has a sound that can fill any size orchestra and keeps the fun playing characteristics of big rotor tubas. This popular show horn has picked up a few scratches and a couple of minor pimples.